Is Denver Guilty? Watch this very funny Labrador Retriever video, as Denver's owner searches to find out who ate the cat treats. Watch the expression on this adorable, yellow Labrador Retriever's face and her mannerisms. Priceless!! Denver has gained global recognition since her video aired and she has made appearances on Good Morning America, Fox News, Inside Edition, Fox 45 Baltimore, Fox Delmarva News and Fox WTTG DC TV. Here's your chance to win two luxury dog beds for your Labrador Retriever(s)! Enter the Luxury Dog Bed Giveaway for a chance to win two Scandia Pillow Dog Beds and two covers for each bed (value of $830.00). The Luxury Dog Bed Giveaway ends at 11:59 p.m. ET on July 7, 2013 and is open to US residents, 18+. Adopt-a-Pet.com has provided All About Labradors with a helpful infographic in regards to Labrador Retriever adoption. You'll learn what to expect and how to best raise your new Labrador Retriever or puppy. Looking for a Labrador Dog or Puppy? Why Not Adopt! Nutrabar is offering Free Samples of their Nutrabars. 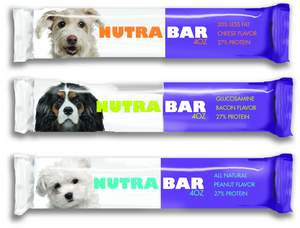 The first and only all natural, ali American, super premium, true food bar with 27% protein for dogs you can take anyhere, anytime. 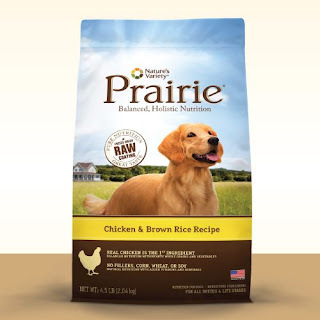 Prairie is giving your the chance to try their chicken and brown rice recipe dog food for free. Prairie® holistic pet food delivers optimal nourishment through a variety of simple, natural ingredients. No fillers, no corn, no wheat, no soy. Free Dog Food Sample from Prairie, just visit their Facebook page, 'Like' them and fill in the form. Allow 6-8 weeks for delivery. 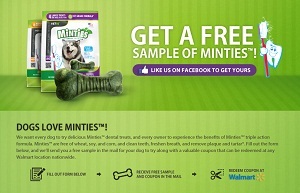 Minties is giving out free samples of their Dog Dental Treats and a coupon. To try out a Free Dog Dental Treat from Minties, head on over to their Facebook page, 'Liked them and fill in the form. Samples available while supplies last.